Yellow cedars, iconic temperate rainforest trees that can live 1,000 years, are dying over vast swaths of warming Alaska and British Columbia. Now, for the first time, there are maps showing the full distribution of yellow cedars, the extent of their long-term decline and projections for future losses. Despite its name, yellow cedar is actually a type of cypress, not cedar. Cedars and cypresses both have outstanding rot resistance, and while they have similar appearances, they're not closely related. The maps and calculations, described in a study published online in the journal Global Change Biology, show over 1,500 square miles of yellow cedar forest has been stricken with die-offs associated with a warming climate. "It had never been mapped before, so we really didn't know how big the decline was," said Brian Buma of the University of Alaska Southeast, the lead author. The future for the tree is troubled, according to the study. About half the forested area currently considered suitable for yellow cedars will no longer be so by the end of the century as temperatures rise and winter precipitation shifts from snow to rain, according to the study. The study combines information from aerial and on-the-ground surveys in Alaska, British Columbia and points south, and it evaluated decadeslong climate trends and projections of climate change decades into the future. Yellow cedar stands are found along the north Pacific coastline, with specimens scattered from northern California mountain sites to Prince William Sound, as the new mapping shows. But the heart of its habitat is coastal Southeast and British Columbia — and that is where the die-off is concentrated, with mortality exceeding 70 percent in many areas. Mortality is spread over a region spanning latitude 50 to latitude 60 north, the new mapping shows. The decline of yellow-cedar is already well-documented. The long-term slide started in the mid-1800s, but accelerated in the 20th century. The past decades' die-off is attributed to warming that erases protective snow layers and exposes shallow cedar roots to freeze damage. The trees are being considered for Endangered Species Act protections, a process spurred by a 2014 petition filed by environmental groups. If the U.S. 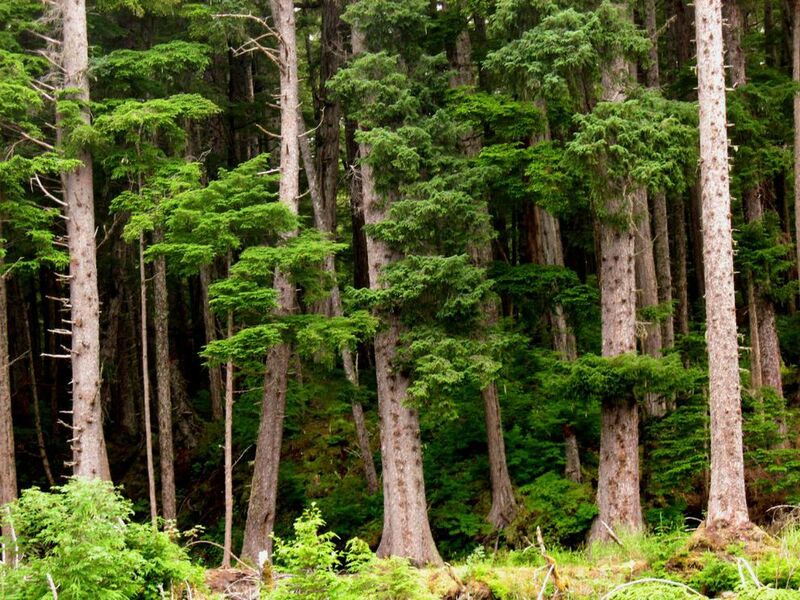 Fish and Wildlife Service approve the listing, yellow cedar would join the Aleutian shield fern as the only Alaska plants with endangered protections. Whether the new findings support a listing depends on how the law is interpreted, Buma said. "I don't think the results suggest that it's going to go extinct in the next few decades," he said. Still, the results show a marked and significant decline over a wide area, he said. Like their cypress cousins in Southern bayous, yellow cedars grow in specialized conditions, using the boggy muskegs with poorly drained soils where few other trees can grow to compete for sunlight. They thrive by spreading their fine roots in shallow areas and starting their spring growth early, even in below-freezing temperatures. Their characteristics are ideal for cool and wet Pacific Northwest areas — as long as there is snow on the ground to insulate the shallow roots. The problem for the trees is annual snow-cover is becoming thinner and shorter-lasting. Paradoxically, the warming climate is exposing yellow cedars' roots to freeze damage. Much of the trees that exist today "are in areas where they're not going to have snow anymore," Buma said. But in the northern part of the range, from about Juneau to the Sound, the few yellow cedars that exist appear to be healthy, he said. There, snow is more dependable, and some trees considered young — 200 or 250 years old — have been growing. Could yellow cedar spread farther north to stay with the snowpack? Signs do not seem encouraging. Just as yellow cedars' death is slow, so is their growth. Seeds do not spread or sprout easily, and there is little evidence of new seedlings beyond the areas where the trees are already growing, Buma said. Almost all the seedlings he has found have been close to existing stands, maybe no more than 10 feet away, he said. "If you go an hunt for seedlings, you barely find any outside the boundary," he said. The coastal forest's warming, meanwhile, is on pace to beat any yellow cedar expansion, according to calculations by the University of Alaska Fairbanks' Scenarios Network for Alaska and Arctic Planning. More winter and early-spring rain instead of snow is expected in future decades in the northern coastal forest, according to projections by the SNAP program and Chugach National Forest. By midcentury, March will be a month with average above-freezing temperatures over wide areas of that coastal area, according to projections. Some sites, like Seward and Yakutat, are expected to pass that threshold for the month of February in coming decades. Loss of yellow cedars could alter the forest ecosystem. The trees hold high levels of calcium, a response to the wet, low-nitrogen soils in which they grow. That calcium is put back into the forest floor from dropped foliage, affecting overall soil chemistry. Yellow cedar may be best known for its place in Native cultures of the Pacific Northwest and Southeast Alaska. For ceremonial carved items, "it's a highly desirable wood," said Monica Shah, director of collections at the Anchorage Museum. The museum has several prized, intricately carved yellow cedar works. 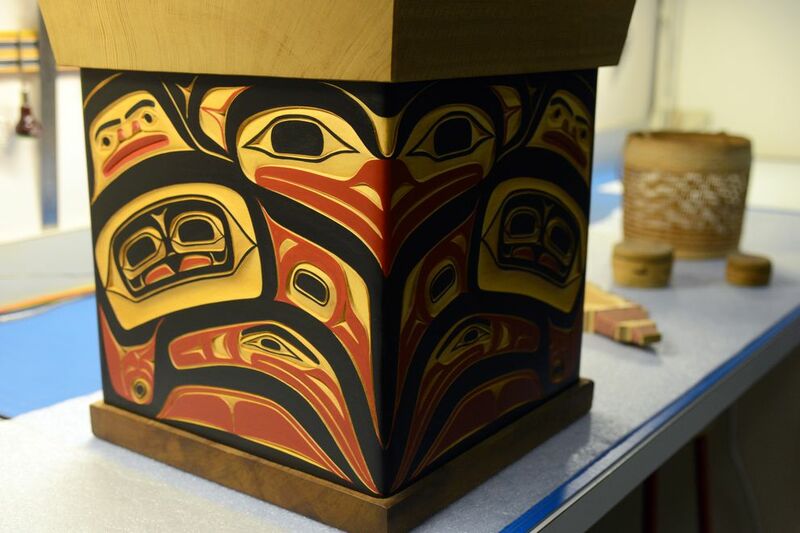 Yellow cedar bark, which can be harvested sustainably from living trees, is another important Native art medium. 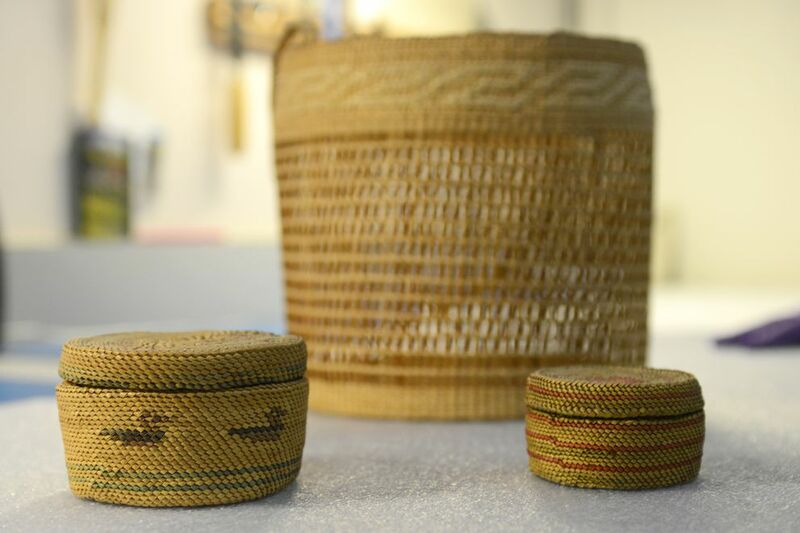 The bark can be woven into items, like the tiny, century-old baskets held in the museum collection. Yellow cedar even has a place in Haida creation stories. According to Haida legend, yellow cedar came to the earth when raven used owl calls to scare three women drying salmon by a stream. The women ran halfway up a mountain, then became trees with wispy, hairlike branches and smooth, skinlike bark, according to the legend. That is the reason, the story goes, that yellow cedars are so beautiful.